Bought it the end of December 2016. Got it January 4, 2017. I gave it to my mom, who does not use it near as much as "regular" user would. A couple of months after using it she started to have issues with it. This is not the first M310 mouse we bought. It is the perfect mouse for our usage. I will buy more in the future for I have several computers in our offices. I know a mouse, and he hasn't got a house. I don't know why I call him Gerald. He's getting rather old, but he's a good mouse. And so is this. Apologies to Pink Floyd. This is a beast of a mouse in terms of durability. I have been using this mouse for almost 2 to 3 + years and have had no issues. Expectantly, the logo wears off after use for this long of a period however there are no other problems. Good: Compartment for receiver for portability Responsiveness Bad: The wheel is not smooth and squeaks even though I bought it a few days ago. Recently bought a new i7 based Dell XPS desktop and after a few weeks realized the corded usb mouse that came with it just didn't work well for me - didn't feel right in my hand and I had difficulties clicking the right mouse button. 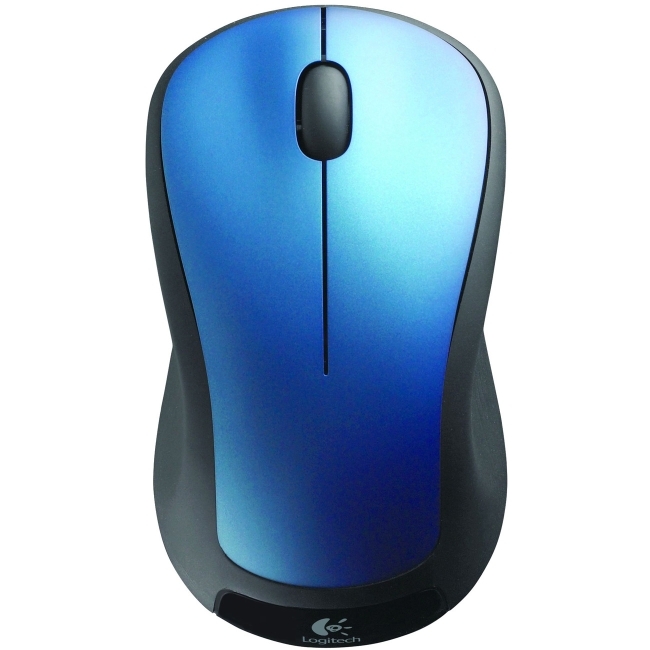 So I went looking for a replacement and found this Logitech M310. This mouse works well, but the wheel is kind of stiff when scrolling. Hopefully it will get smoother with use. The wheel kind of makes a scraping sound when I scroll, so I exchanged it - but the new one sounds exactly the same. I'm really hoping that the more I use it, the smoother it'll get. Love the tiny receiver that I can just leave plugged in and not worry about snapping off. Once I forgot to turn it off, and it didnt kill the battery overnight. Much better than my previous unit. Great little mouse for parents to use for their media pc, not the best for any sort of professional work or gaming not recommended. Casual use is the best suited for this mouse. There doesn't seem to be any sort of lag time from movement to the screen. Simple design and lightweight. Shape of the mouse is a bit odd shaped cramps the hand up sometimes. I avoided Logitech because they wouldn't support some products beyond three years, thought I would try them again. I will probably wait another 10 years. Works OK. No problems with most functions. Goes to sleep in a nanosecond. Intermittently have to move is several times to wake it up. I didn't want Bluetooth because of this issue, now I have it with this RF mouse.